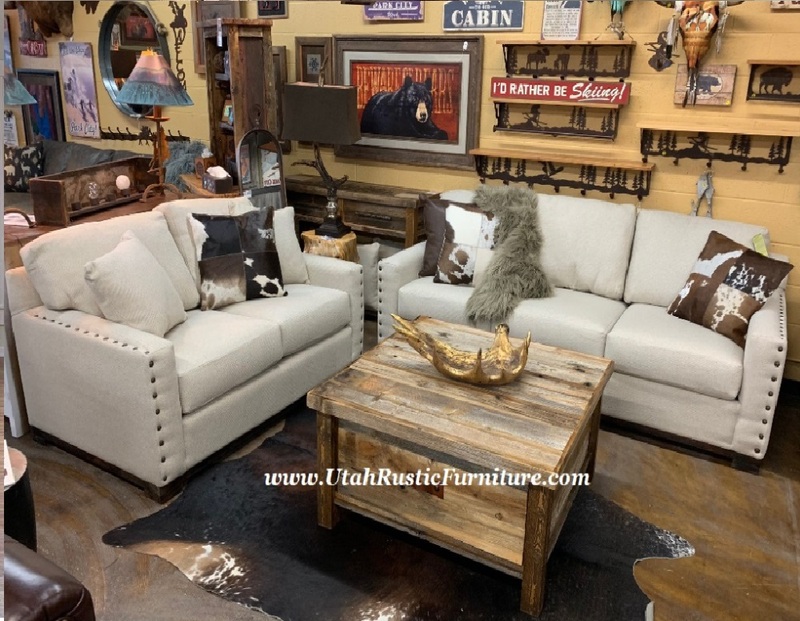 Bradley's Furniture and Intermountain were each founded here in Salt Lake City and have worked together for more than 30 years providing customizable rustic fabric and leather sets with a focus on premier quality. 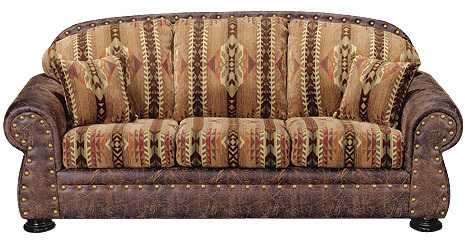 The collections seen are customizable with hundreds of different fabric combinations. 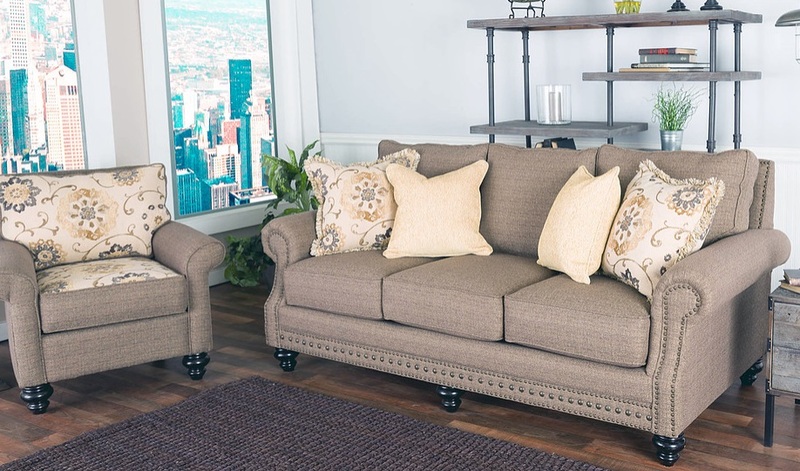 Visit Bradley's Furniture to see the wide variety of options! First, choose from our most popular frames below. 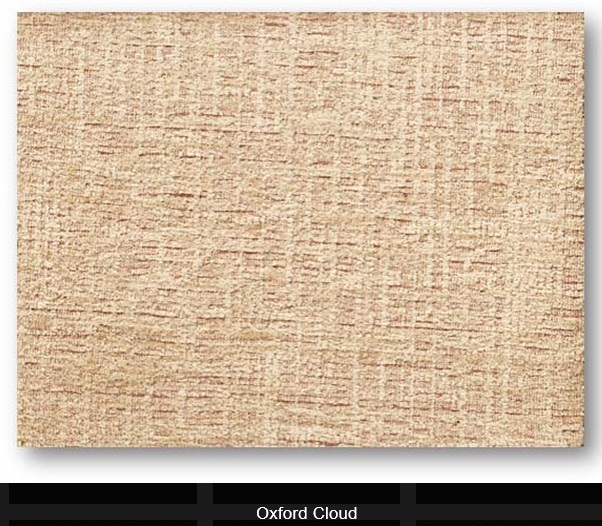 Then, choose all-distressed leather-look Microfiber, distressed microfiber-fabric combo, or all-fabric material options. Finally, pick out your favorite color and style and we will gladly get a price quote either by phone or email; also, feel free to stop in to our showroom to view over 50 different fabric/microfiber options available in person. 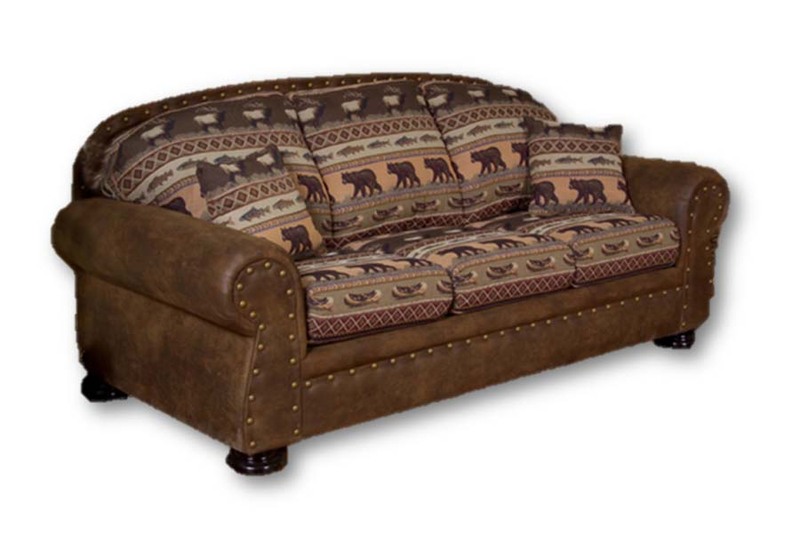 We have a few of these couches even on display that you can sit in to feel the quality. Intermountain is clearly is a step above the competition with custom two tone fabric choices and great value pricing, zippered cushion chambers for easy replacement down the road, solid hardwood/ply doweled alder kiln-dried frames, and an above standard warranty! Allow 6-8 weeks for shipment. 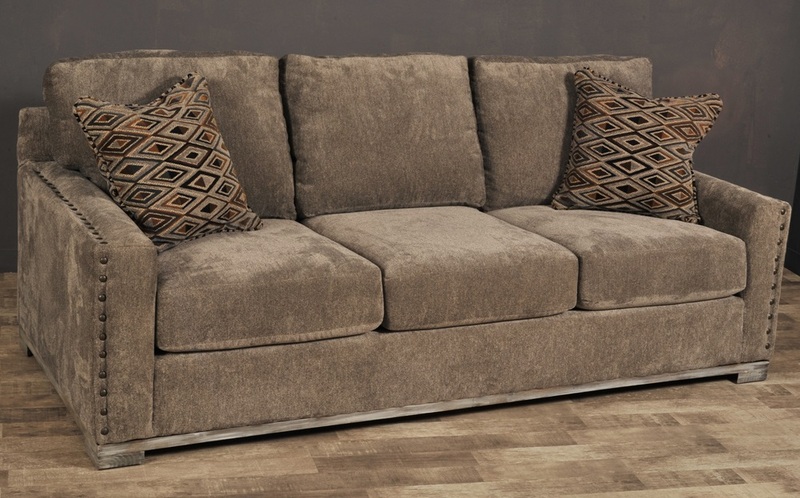 Sofa $839* Queen Gel-Infused Memory Foam Sleeper Sofa $1299* 90"w x 39"d x 39"h*On Display Today! Love Seat $799* 68"w x 39"d x 39"h*On Display Today! 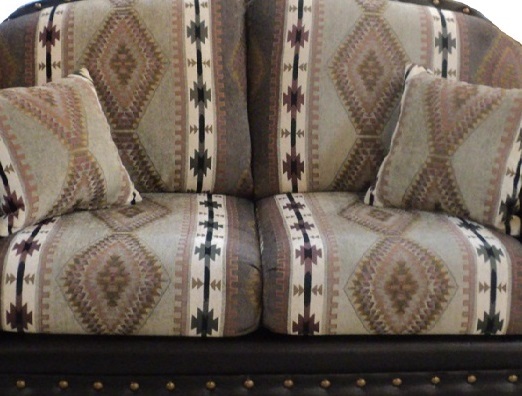 Deer Valley Apache, or Apache Stone Cushions paired with Dodge Saddle Distressed Microfiber Body, or Gatlinburg Mineral (Top Right) or Gatlinburg Mesa Cushions with Dakota Carbon Body. -Special Promotional Pricing- Upgrade Dodge Saddle Base to Colt Coffee (Sedona on Colt is one of our favorites! 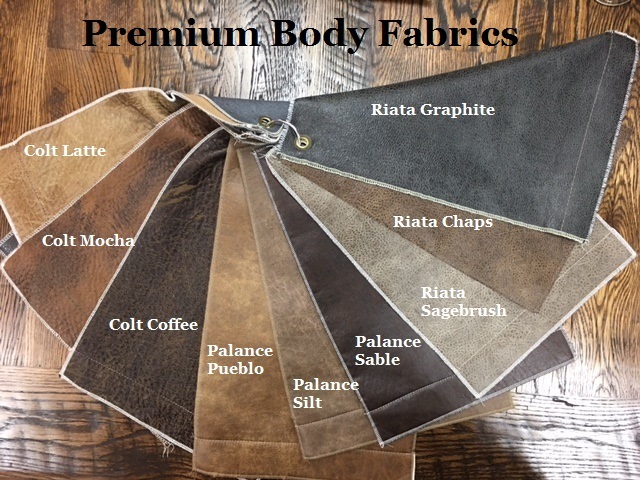 ), Colt Mocha, Riata Chaps, Riata Graphite, or Riata Sagebrush for only $50 more per piece! 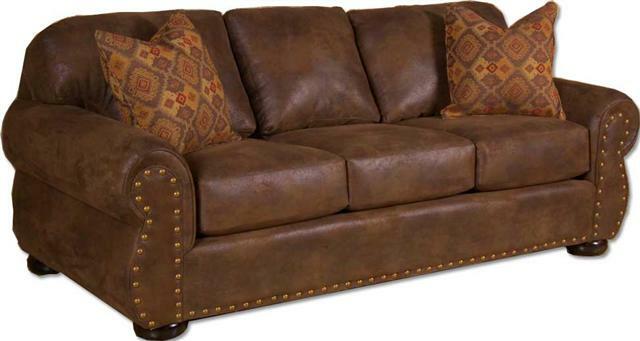 Sofa $899* Queen Gel-Infused Memory Foam Sleeper Sofa $1349* 90"w x 39"d x 39"h*On Display Today! Sofa $999* Queen Gel-Infused Memory Foam Sleeper Sofa $1449* 90"w x 39"d x 39"h*On Display Today! Sleeper includes an upgraded Gel-Infused Memory Foam Mattress! Click here for all avail. 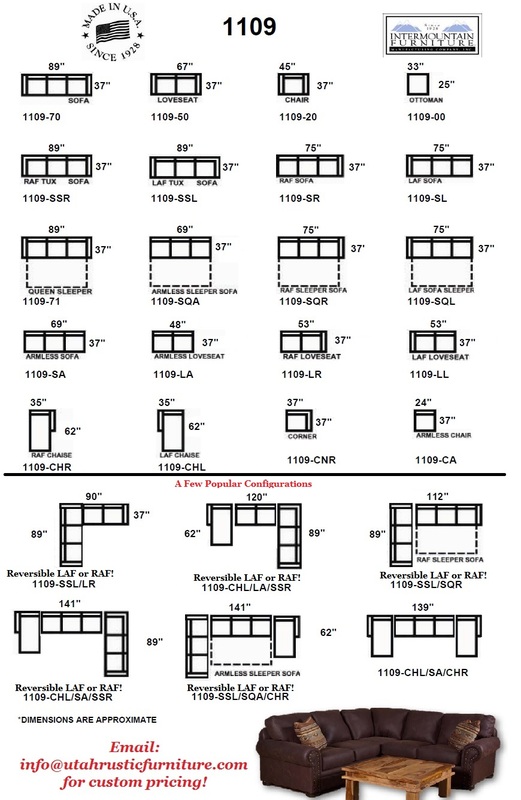 pieces and dimensions for popular configurations! 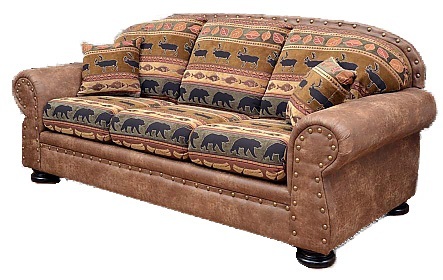 Also available in a "#1109-T" Two Tone Option with a different fabric for the back and seat for an upcharge. Sleepers include an upgraded Gel-Infused Memory Foam Mattress! 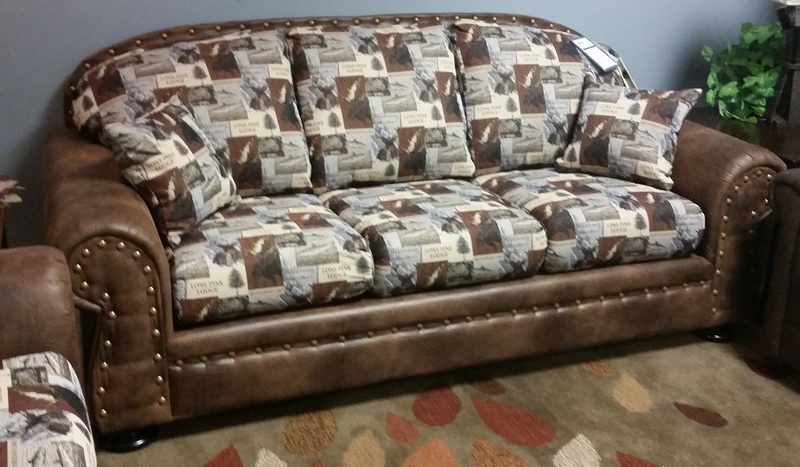 Sofa $1099* 102"w x 40"d x 38"h* (Pillows Included w/Married Style Riata Sage and save $75)! 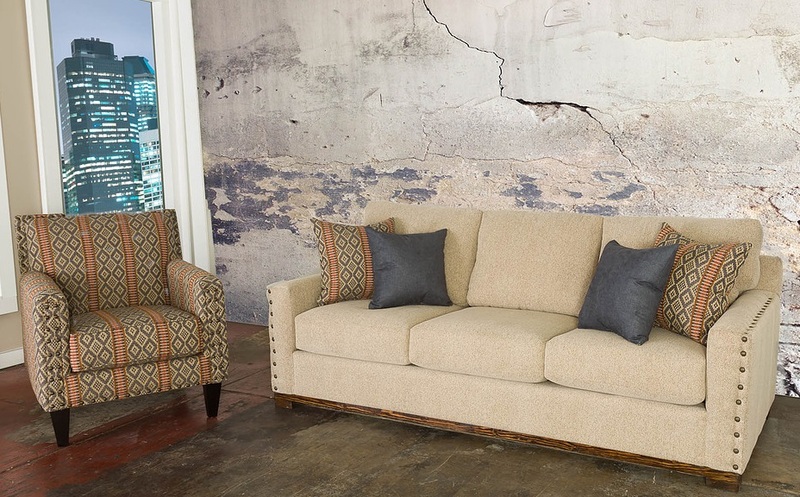 $899* Married Fabric 2 Seat Sofa 97"w x 39"d x 38"h* Pillows Included w/Married Style! 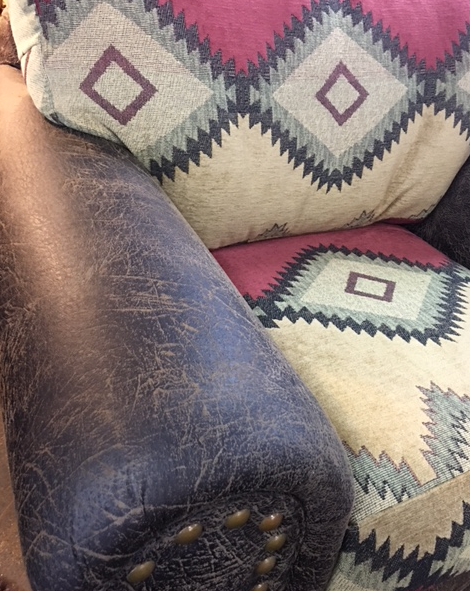 Shown B50 Priced in Riata Bison Left and Colt Coffee Right -Available in over 75 Distressed Microfibers, Fabrics Combos, as well as a few Leather-like 100% Polyester Options for an upchargeAdditional Intermountain Frames Also Available. 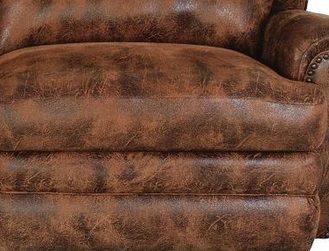 For dimensions visit www.Intermountainfurniture.com. *Dimensions are approximates. Please email or call a sales associate for current estimated ship times. 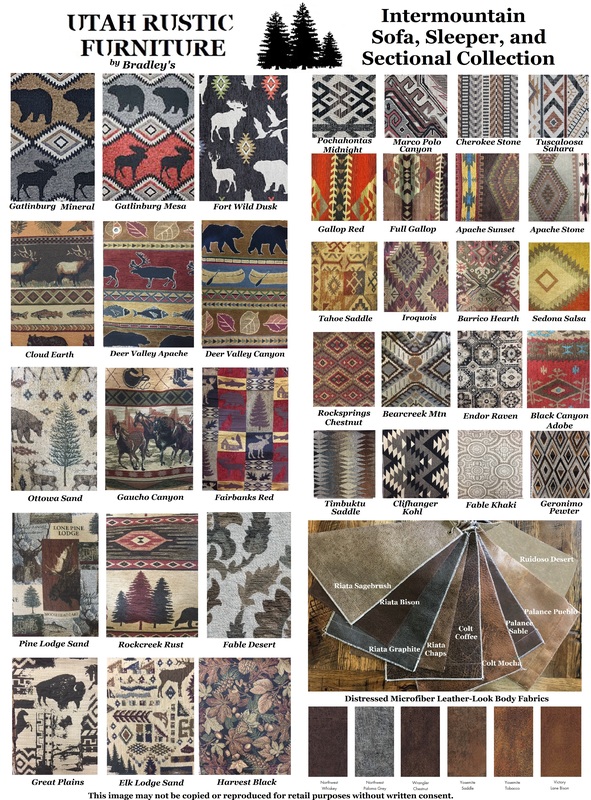 See our showroom in SLC for these fabrics and a few display models to test!